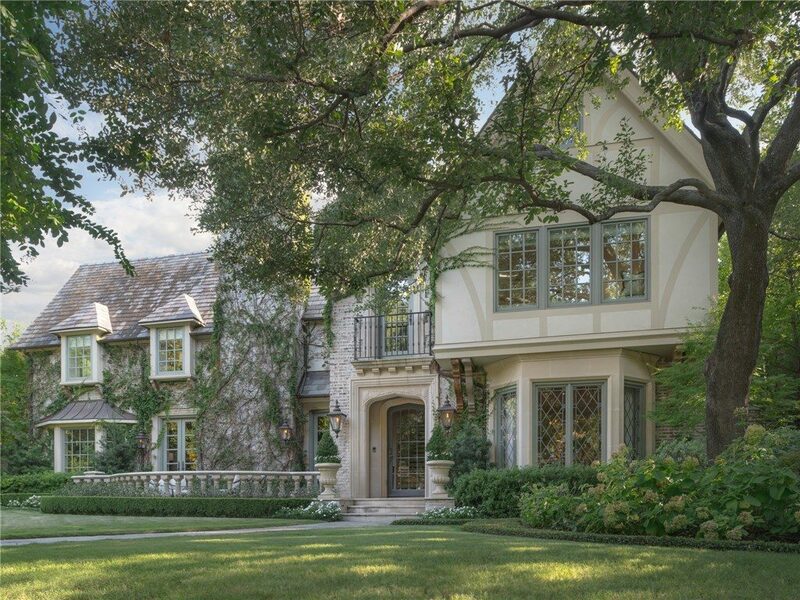 When I spotted this Bluffview estate at 5131 Shadywood Lane, I thought it was one of those iconic homes that had been built almost a century ago. However, according to the listing information, it was built in 2007. I didn’t believe it. I went to DCAD to see if maybe that was the year it was renovated and there was a mistake in the listing information. 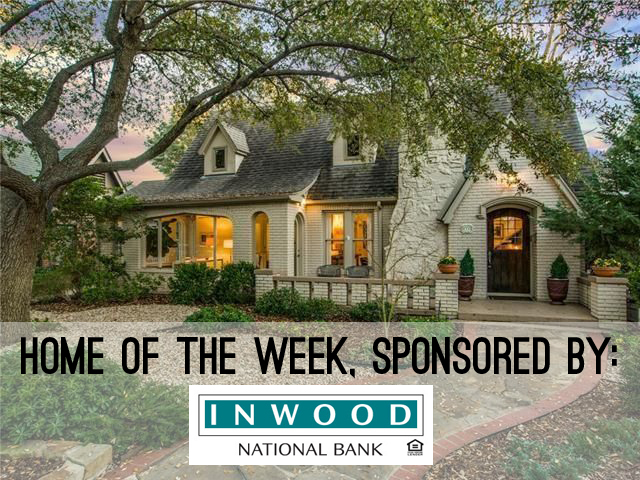 The unique traditional in Mockingbird Park at 5435 Westside Dr. is one of our five featured DFW open houses this week. 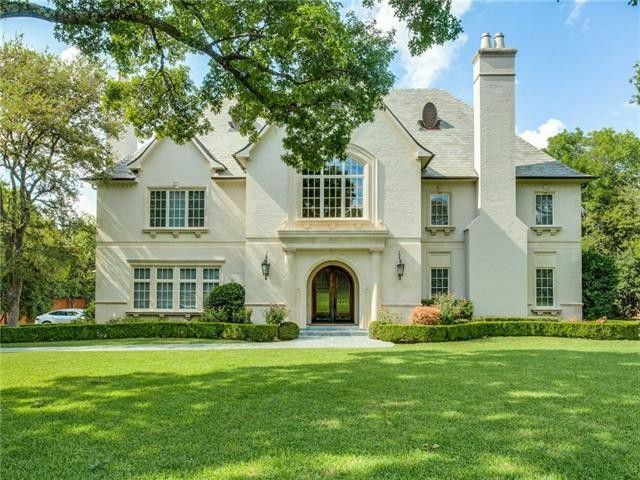 Every Thursday, we bring you a roundup of DFW open houses that will knock your socks off. 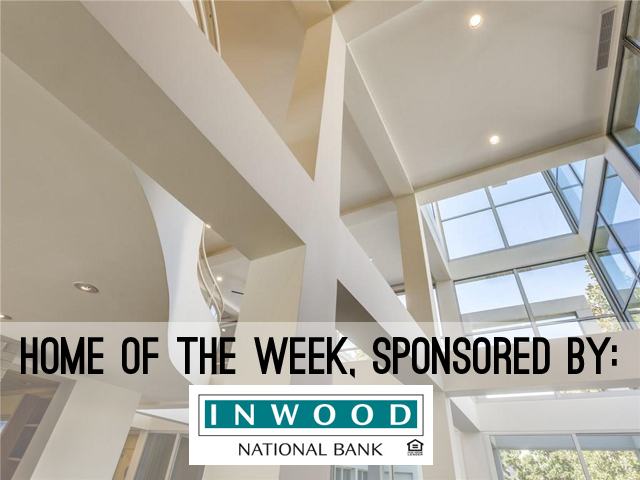 This week, we’re got a particularly big range of styles and prices, ranging from $394,900 to $1.16 million. 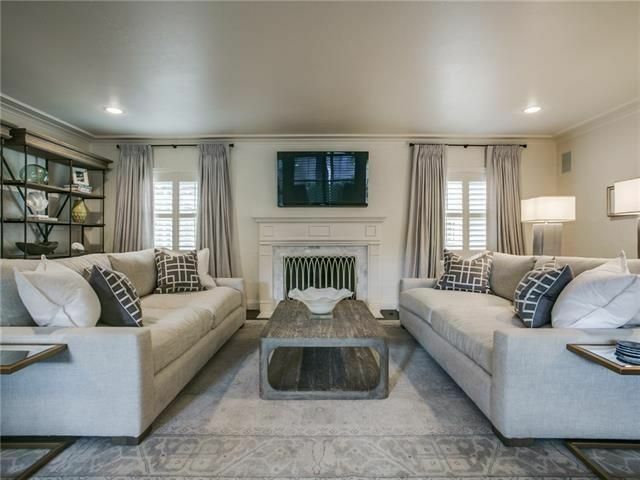 You’ll find an updated and expanded M-Streets Tudor, a unique traditional near West Highland Park that feels secluded and contemporary, a Mediterranean home near Celestial Park in Addison, and more. You don’t want to miss these! It is with a heavy, grieving spirit we report that Dallas has lost one of our brightest real estate talents. 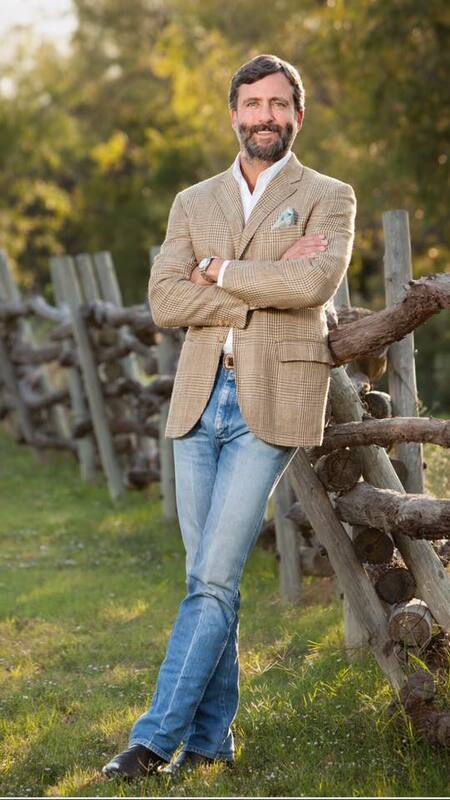 Dax Howard Pass, Briggs Freeman Sotheby’s International Realty Ranch and Land broker extraordinaire, husband of Caroline Summers, and father of three, passed today peacefully following complications from a heart attack suffered over the weekend. He was way, way too young to leave us. Services will be on Thursday, Sept. 8 at 3:00 p.m. at Highland Park Presbyterian Church, with a reception to follow at the Dallas Country Club. Dax’s roots ran deep in Texas, with a deep love of and respect for the land. He had more than 18 years of real estate experience in commercial, ranch and land, oil and gas and investment properties. He and his family ranched in west Texas for six generations, developing connections throughout the State. In 1995, Pass brokered his first land deal with John and J.T. Pass, beginning his career in the ranch and land business. For the past two decades, Pass has been guiding his clients through complex ranch and land and commercial real estate transactions. He launched his commercial real estate career by working for another family business, Whataburger Restaurants (Whataco Inc.). During his time with Whataco, he was in charge of site acquisition and development in Texas, New Mexico and Louisiana. The family’s franchise became the largest in the nation with 92 restaurants, employing 3,500 people and was sold in 2000 to Redstone Companies of Houston, Texas. Then in 2001, it was oil and gas acquisition, development and exploration. He co-founded Phoenix Resources, Inc., where he negotiated seismic permits and leased 104 square miles of Texas Gulf Coast in Calhoun County. Dax managed seismic data acquisition and expansion of additional leases. Phoenix drilled and developed a substantial portion of the county and was sold in 2006. Next he founded Pass Properties, a real estate brokerage and consulting firm specializing in the sale of ranchland, pasture, agricultural farms, timber, hunting acreage and recreational properties across the Southwestern United States, notably in Marfa. Dax was a graduate of Highland Park High School, and studied business at Texas Christian University. He lived in Greenway Parks with the love of his life, Caroline, and their family. We are praying for strength for Dax Pass’s beautiful, loving family. When a loved one passes, there is really no comfort for those who grieve. Let the love of our incredible real estate community, and the devotion of family, comfort the Pass family. Our deepest condolences. 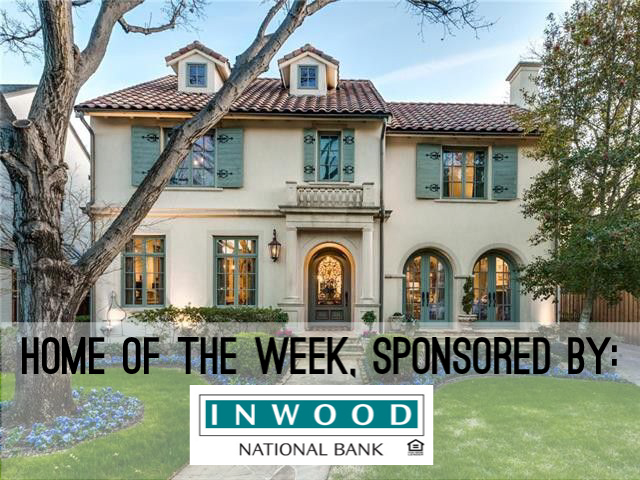 A simply stunning Highland Park French Normandy masterpiece, at 4401 Lorraine Avenue, hit the market last week and it has totally captivated us. Our staff sees hundreds of home online each day. When we have the opportunity, we also see several in person each month. 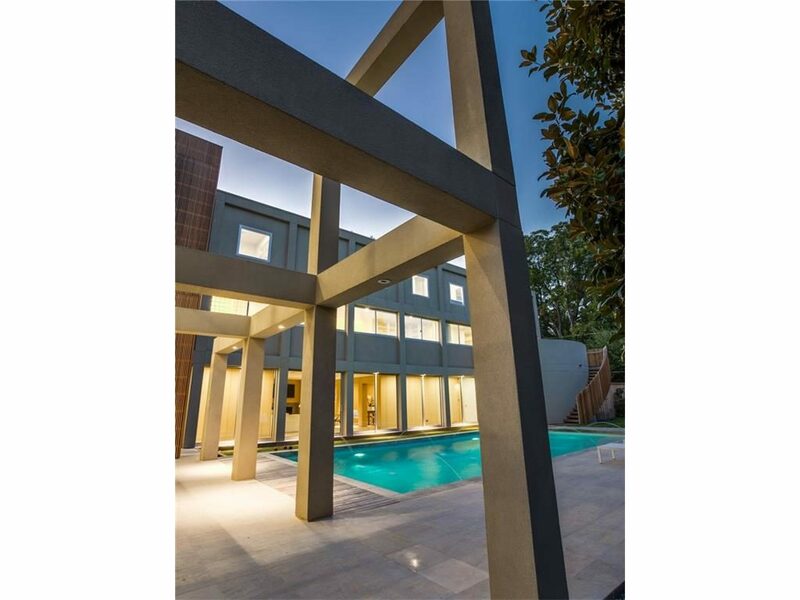 So we’re accustomed to gorgeous properties and yes, we can get a little jaded. 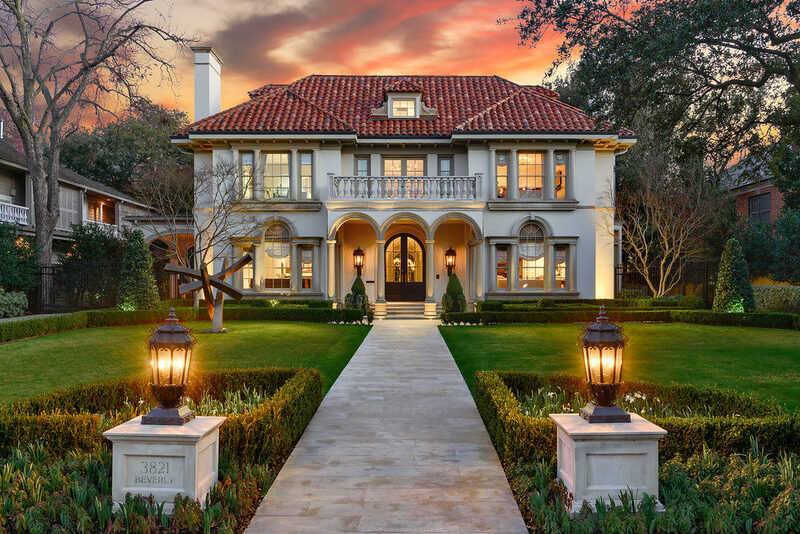 Then there are the times, when a home is so fantastic, we get that dazed look in our eyes and gasp “OMG, just look at this!” This is one of those times. What distinguishes this property from thousands of others? Well, it’s not just beautiful but it’s also tasteful and well thought out. It has a restrained elegance. You know what Realtors say about location? You can’t get much better than the corner of Armstrong Parkway in Highland Park.